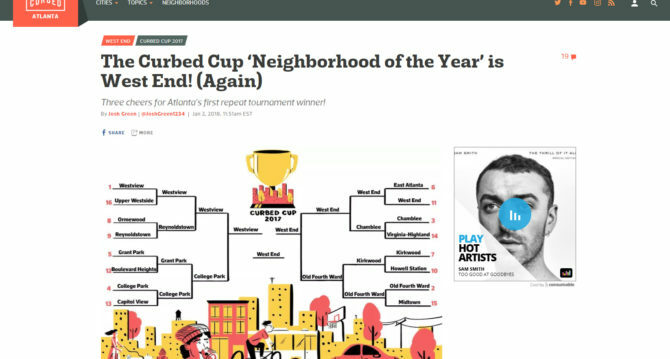 Westview was the runner-up for the title of “Neighborhood of the Year” in the 2017 Curbed Cup! Quite an accomplishment, given that this was Westview’s first time making the cup rounds. The winner was neighboring West End, so if we had to lose to anyone, we’d gladly give the honor to our sister neighborhood – congratulations! 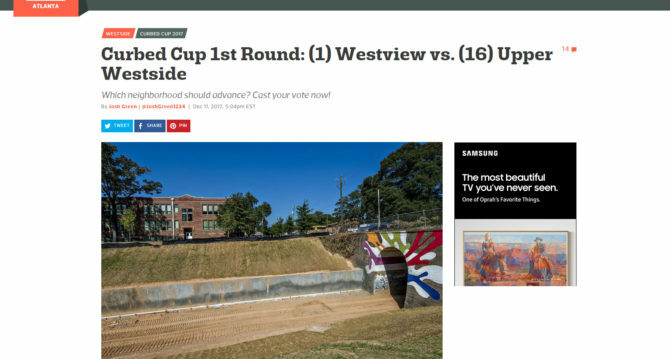 2017 marks the first year that Westview is able to participate in the “Neighborhood of the Year” Curbed Cup! Not only did Westview make it on the participating list, but per Curbed, “residences garnered by far the most nominations of the 2017 tourney.” Go Westview!